We will truly miss watching you play the game that you love. Another season in the books. Another season of winning, dancing, repeating and sometimes facing defeat. That 5-4 loss to Houston at Fenway on Columbus Day was not an easy one to face. Not just for you guys as a team either, but for all of Red Sox Nation, as we will truly miss not only watching you play the game that you love either on our TV screens or in the Grandstand at Fenway, but also your presence and energy around the city of Boston. We will miss seeing the bromances (yes, #FlowBros, I’m talking about you) in action, the excitement, the jumps and the high-fives and tackles when that ball flies over the Green Monster or past the Pesky Pole, and watching the Gatorade being dumped all over someone’s white uniform after an amazing comeback win. We will especially miss watching Benny, JBJ, Mookie and the other Boston outfielders #WinDanceRepeat in centerfield after taking home the victory. Watching the three of them dance always brings a smile to our faces, as we never know what move you three will do next or who is going to do it. (My personal favorite is either Benny’s Michael Jackson or anything Mookie Betts does because he always seems to be having the time of his life). The names of Red Sox players always become not only household names, but heroes in the city of Boston, as you guys give so much kindness to all your fans, whether it be tossing a ball to a young boy after batting practice or posing for a picture and signing an autograph. The city of Boston will never forget when Big Papi grabbed the microphone the day after the Boston Marathon bombing in 2013, and demonstrated to the whole world how strong of a place Boston really is. 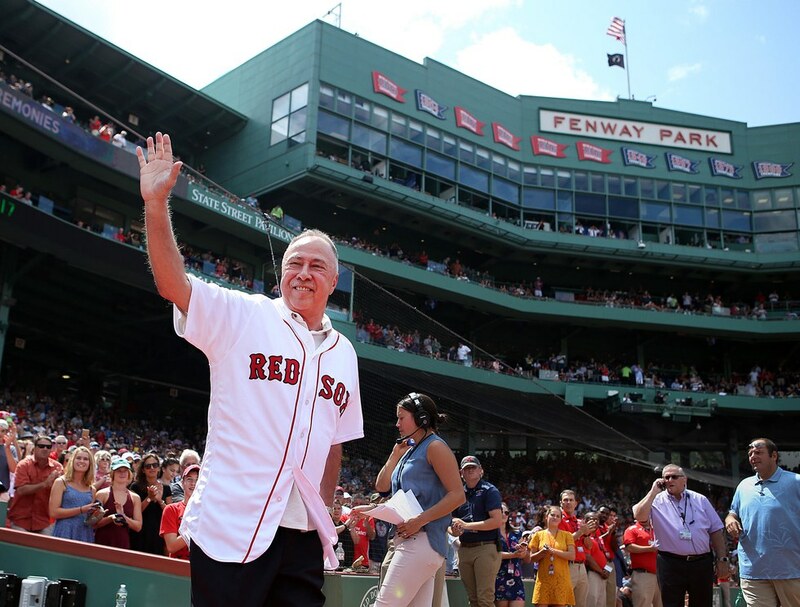 When Jerry Remy recently celebrated 30 years as the Red Sox announcer last August, America’s most beloved ballpark gave him a standing ovation and a touching pre-game ceremony, about which Remy said that “to be received like that [was] absolutely remarkable." That truly shows the power of Red Sox Nation bringing the city of Boston together. Red Sox, you have a special way of bringing not only the city of Boston together, but also families together. Personally, one of my favorite things to do is to sit in the living room with my family and watch the Sox game or listen to it together in the car on our way home. On Easter Sunday, there always seems to be a game, so a group of us always squeeze onto the couch and watch the game while snacking on the delicious Italian desserts that my grandmother makes every year. Every game time, the game is always on in almost every bar and restaurant in the Boston area, and there are always people sitting around watching it together and talking, regardless if they know each other or not. There's truly nothing like it. That being said, we look forward to watching you guys play in the home opener on April 5, 2018 (yes, I looked it up when the game was over). We will miss you for the time being. Until then, rest and train hard so that you can Win, Dance and Repeat all over again.